A rash of playground injuries has prompted one Long Island, N.Y. school to ban balls and require teacher supervision for games like tag. "Some of these injuries can unintentionally become very serious so we want to make sure our children have fun, but are also protected," Dr. Kathleen Maloney, superintendent of Port Washington Schools, told CBS New York. The ban at Weber Middle School in Port Washington, N.Y. will apply to footballs, baseballs, soccer balls, lacrosse balls or any other equipment that might harm a child or school friends. Students will be allowed to play with softer Nerf balls. Rough games of tag or cartwheels will require supervision from a coach, according to the report. Children without protective gear may experience injuries ranging from bumps and scrapes to head injuries and concussions. The reported surge of injuries at the school may mirror statistics elsewhere in the country. 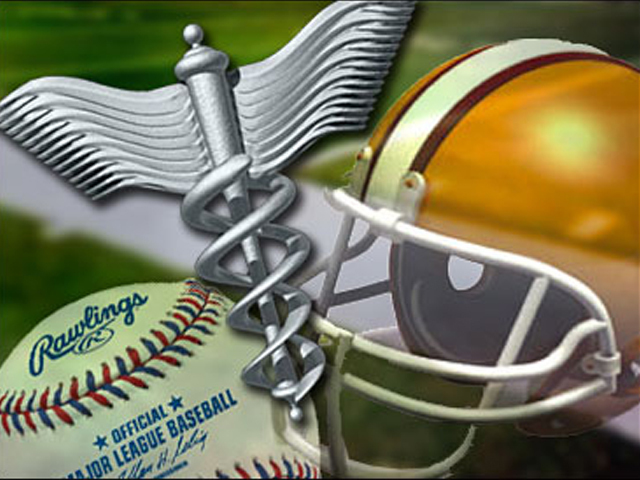 Researchers at Cincinnati Children's Hospital Medical Center reported in late September that there was a 90 percent increase in the number of children admitted to emergency rooms with sports-related head injuries over the past decade. An August report from child safety nonprofit Safe Kids Worldwide found 1.35 million emergency room visits each year are caused by sports, the most common being strains, sprains, fractures, bruises and scrapes. Twelve percent of those visits were for concussions, with nearly half of those occurring in children between 12 and 15 years of age. Studies suggest children need longer recovery times following a concussionor they may face additional health risks. "One of the biggest risk factors of being injured again is incomplete recovery or rehabilitation," Michael F. Bergeron, executive director of the National Youth Sports Health and Safety Institute, told CBSNews.com in September. This week, the largest youth sports organizations in the U.S. announced the formation of the National Sports Concussion Coalition to establish best practices with experts on how to diagnose and treat young athletes with head injuries. However, despite the safety risks, some students and parents feel like the ban is going too far. "Cartwheels and tag -- I think it's ridiculous they are banning that," one parent said to WCBS. "Children's safety is paramount, but at the same time, you have to let them live life," added Port Washington parent Ellen Cohen to WCBS. One sports medicine expert points out there will always be a risk of head injuries and concussions when playing sports or other recess activities, but emphasizing the rules of safe play and using padding when possible can reduce risk. "While I believe that an outright ban on the use of athletic balls during sports activities is not warranted, adequate supervision of students during recess is critical to ensure safety," Dr. Robert Glatter, director of sports medicine and traumatic brain injury at Lenox Hill Hospital in New York City, told CBSNews.com in an email. CBS New York reported other school districts in the area are mulling similar bans.